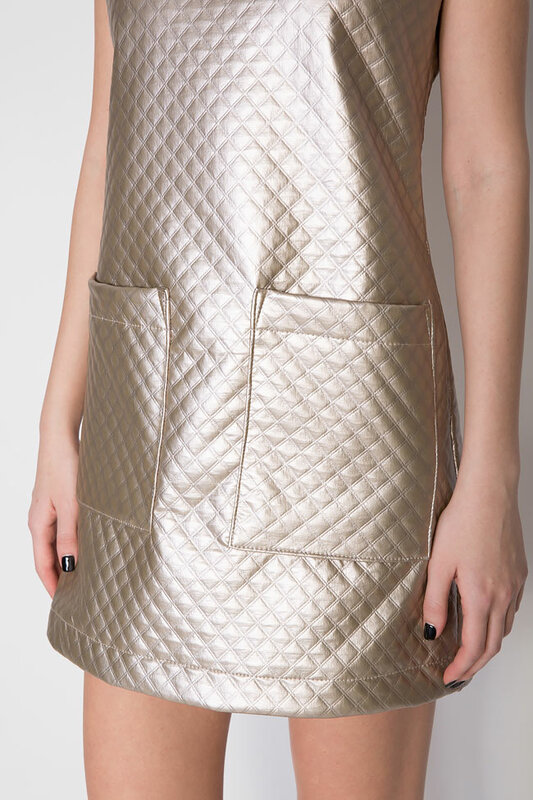 Hard Coeur's mini dress is cut from metallic faux-leather. Intricate quilting adds a luxe look to this polished style. This dress is embellished with two patch pockets. We love it teamed with black pumps and one of the label's faux-leather jacket.